The kitchen is the center of our homes. The smells from something delicious baking in the oven or simmering on the stove are comforting, and the conversations that happen there can be the most memorable ones from our day. It’s no wonder the kitchen continues to be the top renovated space in homes, according to the 2016 Houzz & Home Report. 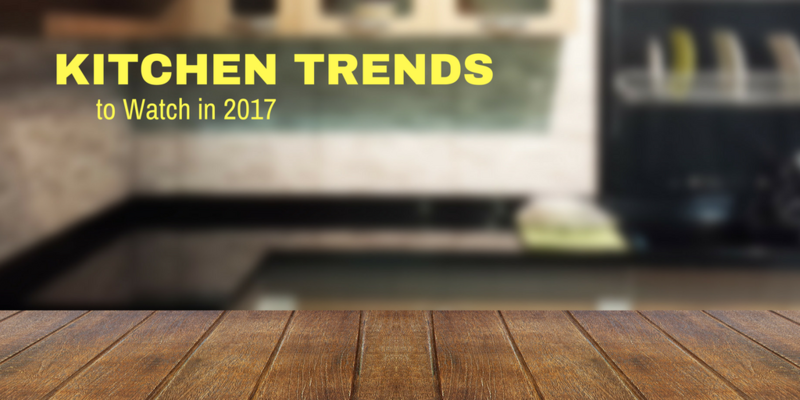 As we move into a new year, 2017 brings with it many new kitchen looks that homeowners are eager to try out. Their primary goal? To keep their kitchens functional but cozy, ready to host a gathering of loved ones. Here are just a few of the latest trends. Which one will take your kitchen to the next level? Homeowners are in love with farmhouse design kitchens, and wood paneling, especially white, will be a top trend incorporated into kitchens, on backsplashes or ceilings. Its vintage, clean look brings a kitchen together with a nod back to past times. Black and white is a timeless color palette, and it has found its way to the kitchen. While there’s no need to interpret this trend strictly with those colors, homeowners find their kitchens come together nicely when they stick to basic colors that match others easily. A crisp, elegant look is simply achieved when tuxedo cabinets take center stage. 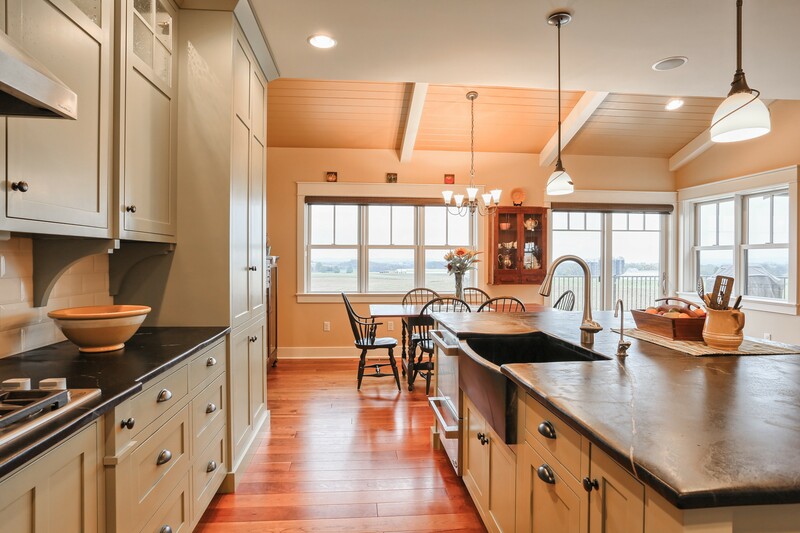 A farmhouse, or apron-front, sink can be a unique focal point for a kitchen. Not only does it make a statement on its own with its many design options, but it is the most functional sink a kitchen could have. Gone are the hard-to-clean seams that trap food and dust. Debris from countertops can be swept directly into the sink to be washed away. The sink itself is large and can attend to any cooking or washing need. Many homeowners find themselves wanting their kitchen basics – their cabinet doors and drawers, for example – to work better. Kitchen storage manufacturers are moving toward solutions to this problem with unique options. For example, touch-activated doors to cabinets can be installed, making belongings easier to reach as the door simply elevates out of the way. New drawers can be installed with technology that prevents them from slamming shut, as well. Kitchen countertops no longer look drab and outdated. The sky is the limit for countertop materials, and they are being used as statement pieces in the kitchen. From stainless steel to concrete and even butcher block, almost any resource is possible when adding a one-of-a-kind element to the kitchen. Kitchens are gathering places, and multi-functional kitchen islands continue to be a must-have trend for 2017. Long, spacious kitchen islands are taking their places in the center of a kitchen – blurring the line between the kitchen and the dining area. They’re perfect for the center of a party, discussion as a meal comes together, and as a game and homework hangout for young children and teens alike. While stainless steel appliances will continue to be a popular choice, you’ll start to see more “hidden appliances” in kitchen design – such as microwave drawers or covered refrigerators – that make the home feel more cozy. Technology available for today’s homes is incredible, and you can now have smart-home technology integrated into every corner of your home, including the kitchen. Lighting, security, audio, video, motorized shades and temperature control can all be controlled with your tablet or smartphone. More kitchens have smart-home technology built in – for watching television, looking up recipes (on a big screen) or piping in music while creating culinary masterpieces. Gone are the days of monochromatic kitchen hardware. With so many finishes – stainless steel, rose gold, copper, pewter, black steel – on the market, homeowners more than ever are encouraged to be creative by mixing up kitchen hardware and finishes. 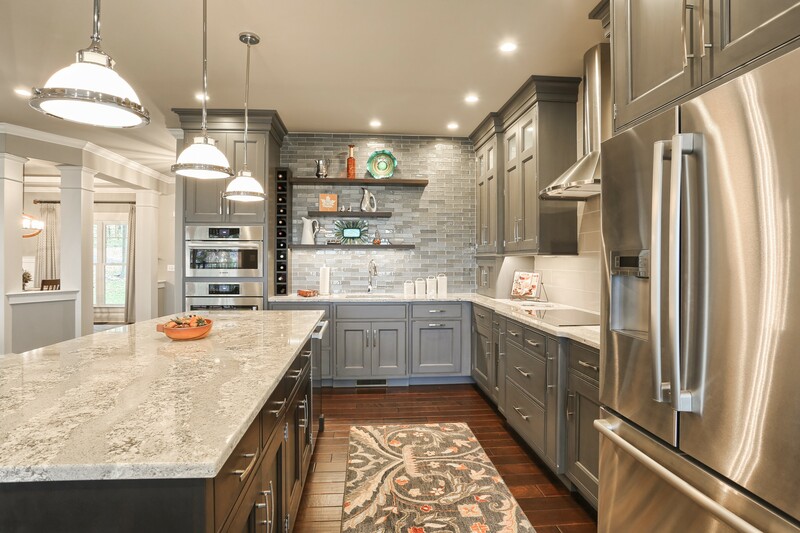 If, after reading this article and seeing some of the many new kitchen products available, you are ready to sketch out plans, let us help you redesign your kitchen to make the most of your space and to fit your family’s needs. Posted in Design and tagged Additions & Renovations, home on February 28, 2017 by metzler. The Guide to Trending Kitchen Countertops: Is Granite Still King?